SsangYong CEO, Johng-sik Choi has presented a new vision for the brand’s SUV of the future at the Geneva Motor Show - concept XAVL. “As the oldest car brand and only specialist producer of SUV and 4x4 vehicles in Korea, it is incumbent upon us to lead the way in new product development in this sector. I am delighted to unveil this concept which signposts the future generation of SsangYong cars.” said Mr. Choi. The XAVL concept - eXciting Authentic Vehicle Long - presents a tough looking SUV concept that’s designed to blend convenience and practicality with a user-friendly interface. With seven independent seats and a roomy interior, the XAVL sets out to combine off-road capability with the versatility and practicality of a multi-purpose MPV. The three rows of seats are in a two-three-two layout with the five rearmost seats each folding and sliding individually to maximise comfort and space efficiency, while also affording the passenger/load carrying flexibility expected of both an SUV and MPV. In contrast to the rugged exterior, a ‘comfortable and sensitive’ ambiance was created for the interior, enhanced by subtle illumination, while the smart user interface enables free communication between passengers, the car and home. The XAVL concept’s design draws inspiration from the second generation classic Korando of the 1990s. This contemporary interpretation of the original car is expected to find its way into production as an off-road SUV in the near future. Power comes from a choice of a Euro 6d-Temp compliant 1.5 litre petrol or 1.6 litre diesel engine, matched with the option of a 6-speed manual or automatic transmission, and a 2WD system. The 1.6 litre diesel engine achieves CO2 emissions of approximately 120-150g/km (2WD, MT/AT, with stop/start), while the 1.5 litre petrol engine gives CO2 emissions of around 150-170g/km (2WD, MT/AT, with stop/start). Putting safety at the forefront, the XAVL features an external airbag for increased pedestrian protection, while passenger safety is further enhanced through a central airbag between the driver and front seat passenger, as well as a driver’s knee airbag to improve driver safety. For drivers’ convenience and safety, the XAVL is equipped with a suite of new electronic safety aids, including Advanced Emergency Braking System, Lane Change Assist, Lane Keeping Assist, High Beam Assistance, Blind Spot Detection and Rear Cross Traffic Alert. The car also features a Smart Parking Assist System, a 10.25 inch full colour LCD display, and a wi-fi hotspot for the second and third row of seats. In addition, the navigation, heating, ventilation & air conditioning, and the infotainment system located in the head lining, can all be controlled from a smartphone, while Link to Home IOT (Internet of Things) technology allows occupants to connect with their home and manage CCTV, security, domestic equipment and temperature control. “XAVL is a further iteration of the XAV concept we presented at the Frankfurt motor show in 2015. This longer bodied car will accommodate seven passengers in comfort, and will be powered by both petrol and new clean-burning diesel engines. 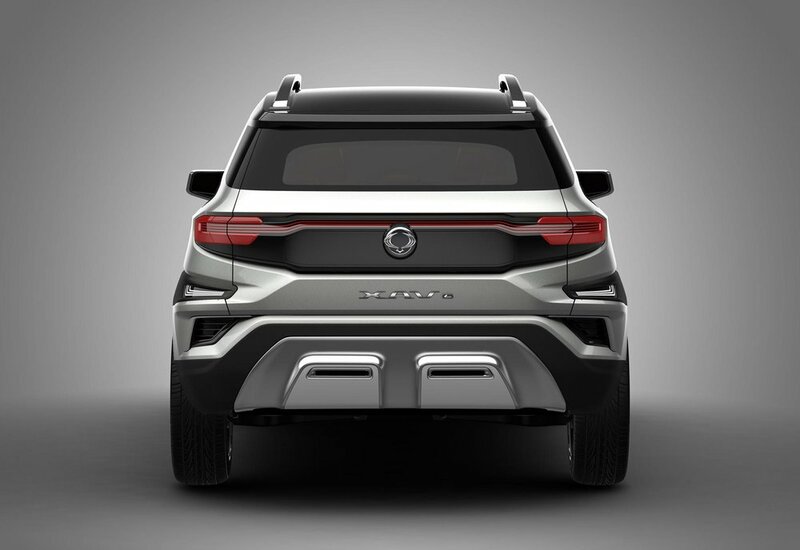 Of particular note, this concept draws heavily on our heritage, and unashamedly takes its design inspiration from our classic and iconic Korando model of the 1990s,” said Mr. Choi.